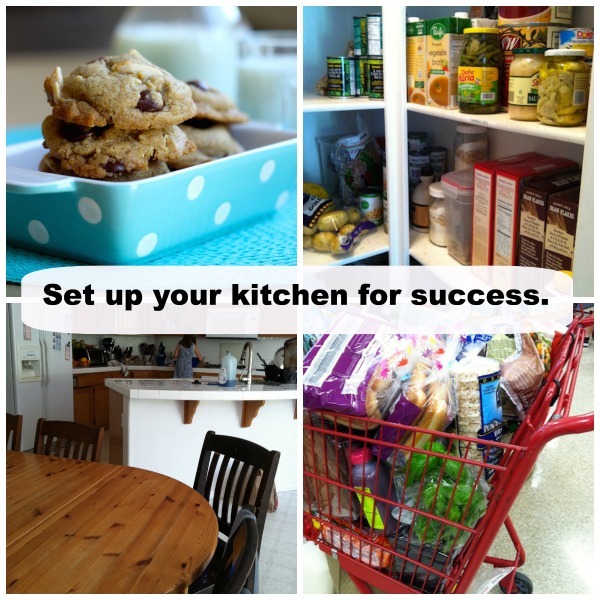 Set your kitchen up for success with these 7 simple steps. Want to have a great week? Consider these simple steps toward setting up your kitchen and your meal planning for a successful week of good cheap eats. 1. Clean out the refrigerator. Spend ten minutes ditching the science projects, consolidating duplicate items and putting things where you can find them. I dread doing it each week, but by keeping up on what we have, we waste less food and save more money. Double win! Though the kids didn’t LOVE lunch on Friday, we ate up the week’s leftovers. FYI: The USDA says you have four days to eat up leftovers that have been properly refrigerated. Use it up! Spend another ten minutes, setting your pantry to rights. Put things on their proper shelves, dump empty packaging, wipe off the shelves and sweep the floor. If you know what you have, you’ll be able to buy less this week. Plus, a clean pantry keeps bugs and rodents away. Amen. Don’t forget to check storage in the basement. Folks forget what they have lurking down there. We have the weirdest shaped pantry ever known to man. It is under the curve in the stairwell and wedged between a closet and the garage. For all its faults, I could stand in there with the door shut. It’s big-gish. And that counts for something. In the craziness we call May, I’ve had kids put away groceries for me. Despite the fact that EVERY SHELF IS LABELED, things weren’t quite where they needed to be. Things are back to where they should be and all the rubble has been removed from the floor. If you go into the week with plans for the week’s meals, you have an easier week. 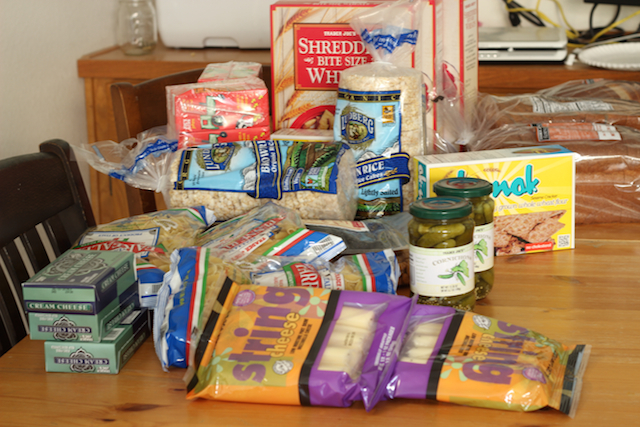 Since you’ve just straightened up your food storage, you know what you have so you can plan from what you already have. Need help meal planning? Check out the free meal plans I have available on Life as MOM or learn to make your own plans with Meal Planning 101. Hit the store. Buy what you need, but not more — unless you find a great stock-up sale. 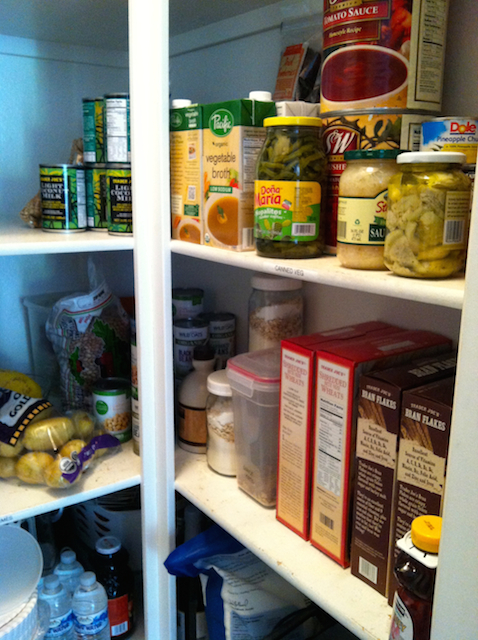 Your mental pictures of the fridge and pantry should be fresh in your mind. Once you get home from the store and put things away, ask yourself what you could prep in advance. Can you pre-cook meat, make salsa, chop vegetables. By doing things in advance, meal prep will be so much easier throughout the week. 6. 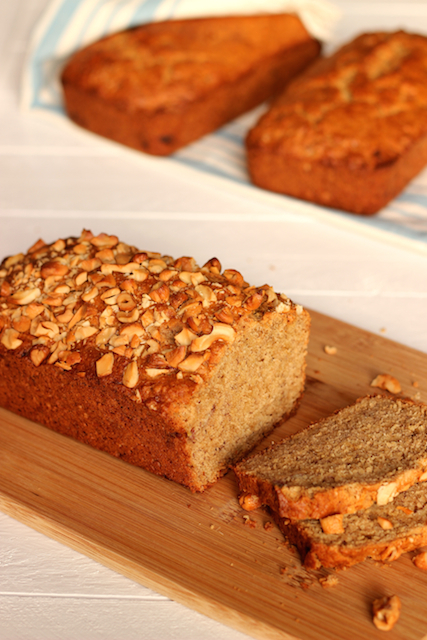 Bake something to freeze. If you’ve got some time, get something baking. I had lots of bananas to use up, so I made three loaves of Coconut Banana Bread. Some even made it to the freezer. Consider making granola, homemade baking mixes, or cookies to help you throughout the week to come. After all that prep and restocking, be sure to leave clear counters and a happy kitchen. A clean kitchen is more fun to work in. If you like your kitchen tasks, you will cook more often and save more money since you’re not eating out. What’s a secret to YOUR kitchen success? I really try to do all of the above–except that my pantry shelves need some re-organizing. One thing that helps me keep the kitchen clean is keeping it clutter free. I do not have a lot of counter space, so the fewer things on the counter, the better. It also makes clean-up faster and easier. Yes to the clear counters! It totally makes a difference. Only four days for leftovers?? Man we go past that on a regular basis! Yep. I know lots of people who go past it. When I worked in catering, we would make big vats of regular salads. They got dumped after day three. These tips are a great help, i am dying to know where did you get your polka dot baking dish? I don’t have a pantry and desperately want/need one. Any suggestions on what works to make a free standing ‘pantry’ in a corner of a room near the kitchen? Thanks! CL, I have used plain cheapo shelving units from the discount store. My most recent set lived in my kitchen in Salt Lake City, in my bedroom hall in Jerome, Idaho, were stored in Nampa, Idaho because I had a pantry, then were brought out and put in the kitchen lean-to in Carson City, Nevada, the laundry/pantry room in Gallup, New Mexico, and are now stored again because I have an outdoor food pantry in my carport in Arizona and guess what was in that pantry closet when I moved in? Yep, cheapo shelving units from the discount store and I have stored my ample food storage on those cheapo shelves every single place I’ve set them up. If you are the fancy type, you can make curtains to cover the fronts, you can sometimes gets ones that have “unit” options that let you put on cupboard doors, but I’m not that type and have just left them open. Lots of options and lots of storage space on just one tall shelf unit.